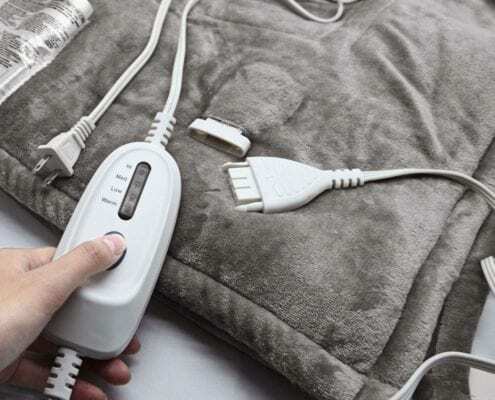 This guide on best electric blankets will help you get a perfect one. 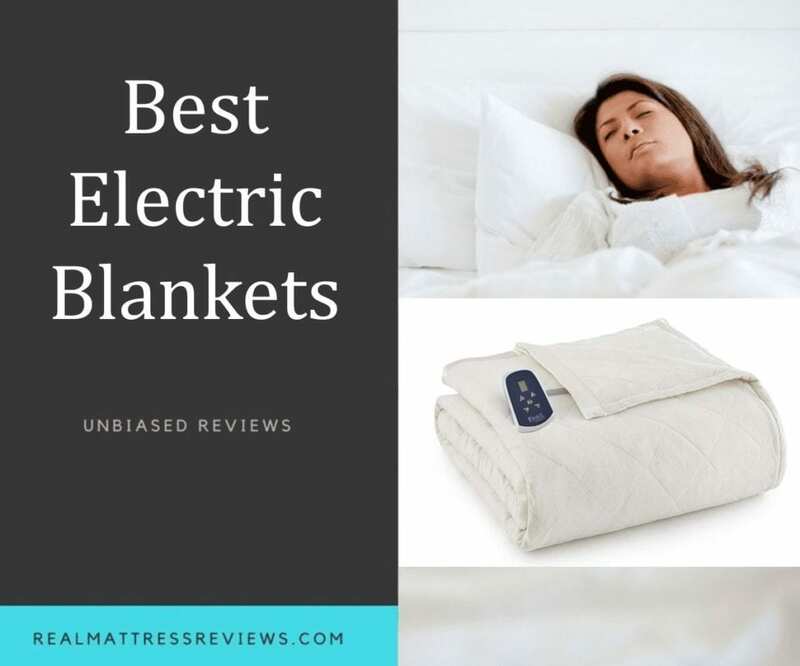 It will provide you with valuable information about electric blankets along with our top picks of best electric blankets. 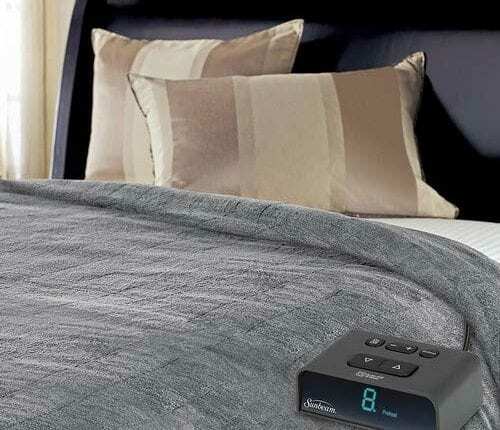 Many of the electric blankets that come today have adjustable heat settings making them usable for all year round for a variety of needs and purposes. Whether you want to save the electric bill during the cold nights of winter, ease your period pain or simply want to relish a warm feel, you can just snuggle in an electric blanket. 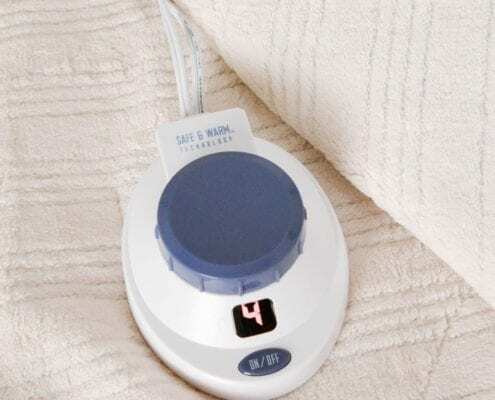 An electric blanket is made from a heavy and sturdy material that has an internal integrated wiring system providing warmth and heat through the use of coil wires. 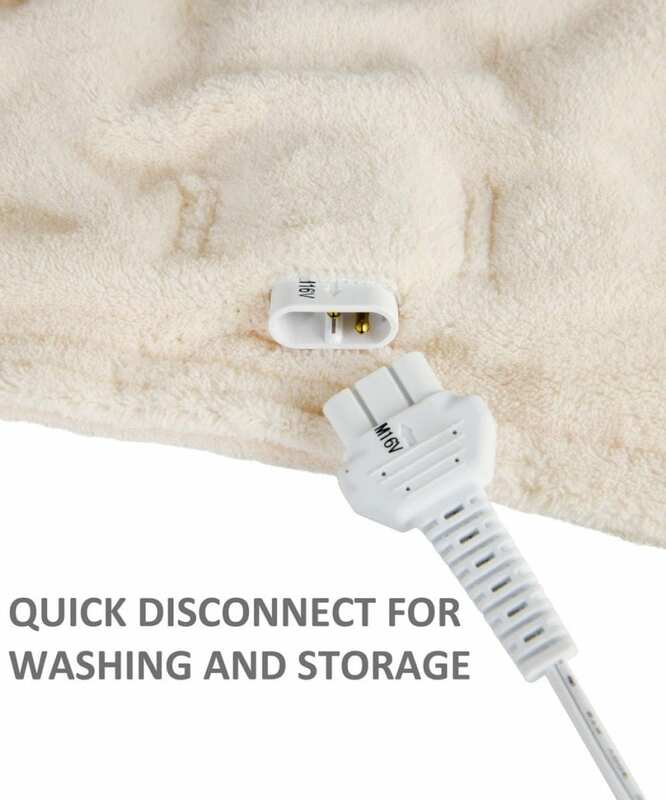 The blankets generally have a plug that goes into the electrical outlet and then can be set on different levels of heat. Majority of the electrical linens are a blend of acrylic and polyester material. This mixture prevents the potential risk of fire hazards while being linked enough to trap the warmth and maintain it. Most brands commonly offer at least three levels of heat that include low, medium and high. And the electric blankets that are made for king-sized or double beds might come with adjustable heat settings for each side. 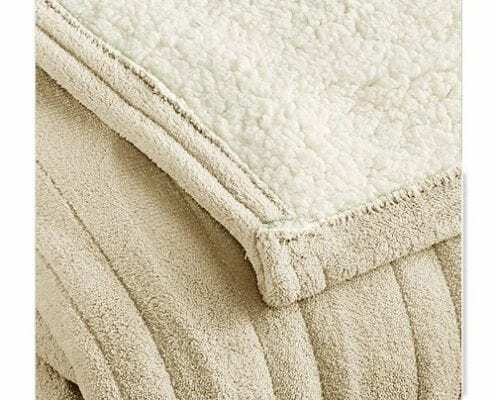 The price of the electric blankets vary from brand to brand, but most of them can be purchased for less than $150. Below are some common features that are found in the best blankets available in the market. So when purchasing an electric blanket, please ask for the below mentioned features that are suitable for you. 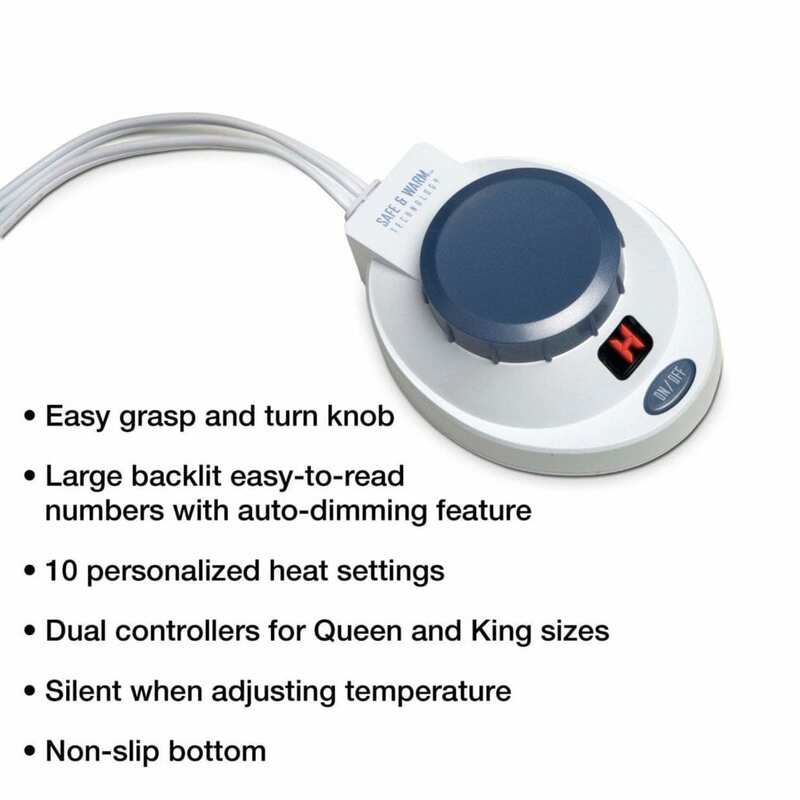 • Heat Settings: Electric blankets today come with adjustable heat settings giving you a range of temperature options. Some models may let you program these settings like warming up the blanket automatically for a set period of time or automatically shutting it off after some time. • Composition: Polyester is typically used for the manufacturing of electric blankets which is a fire-resistant, comfortable and thick fabric. 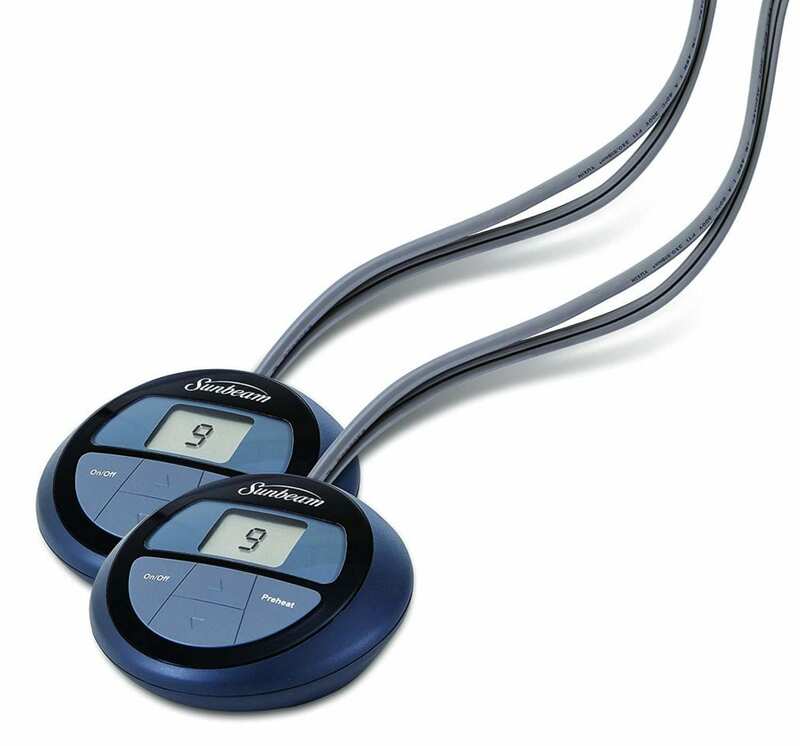 Some electric blankets come with an LCD that displays easy to read adjustments. • Washing: You will have to remove the controls and plug of the blanket and wash the remaining fabric in the machine and then dry it. Please refer to the care instructions that come with your blanket for more knowledge. • Size: Blankets come in different sizes that usually match with the standard sizes of mattresses (full, twin, king and queen). Electric Blankets for mattresses with a place for two people usually have heat adjustment for both sides. 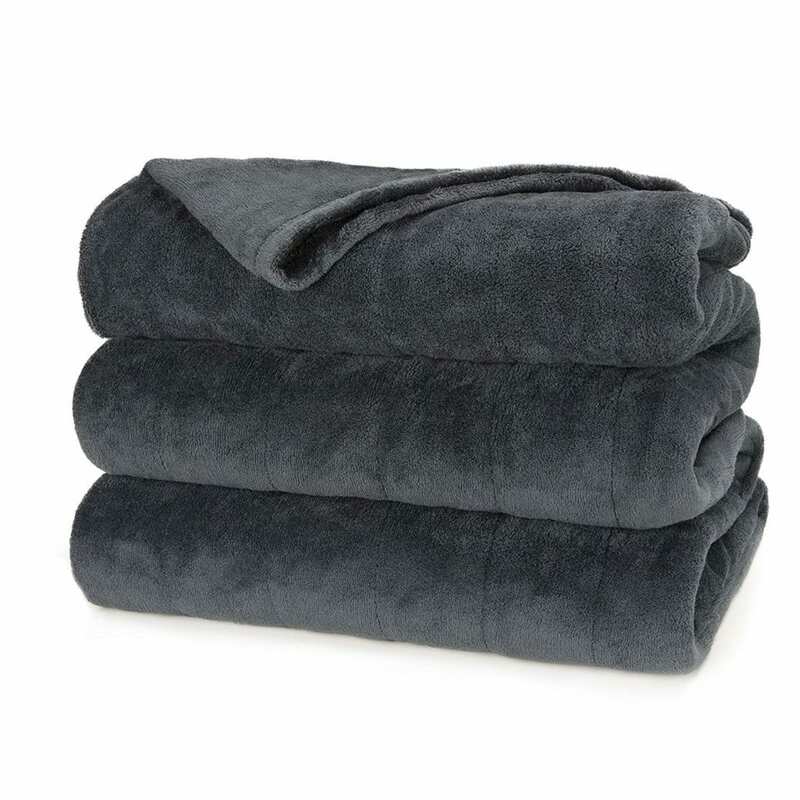 • Low-Voltage: There are two main types of electric blankets; regular and low-voltage. Both blankets are completely safe. However, the low-voltage variant will be safer and drain less electricity but may take a bit longer to warm up. 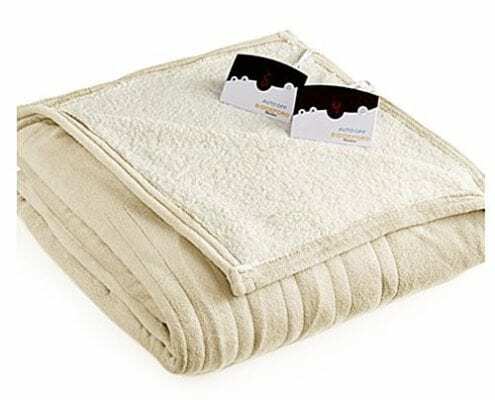 • Warranty: Most brand offer warranty for their blankets and you may be able to return the electric blanket for a refund. • Electrical Blankets may not be suitable for everyone such as people with diabetes who may not recognize heat level due to less sensitivity in limbs. Similarly, pregnant women, children and people with dementia or other mental disabilities may put themselves at risk by using it. • Avoid using the electric blanket if you have your pet with you. This is because animals tend to have hotter bodies than us. Also, your dog may chew the blanket exposing its wires. • Don’t fold the blanket as it may create some hot spots. Just place it as the top layer of your bedding. Also, don’t put pillows, comforters or sheets on it because these things can also result in overheating. • If you see brown spots on your blankets, it’s a sign that you need to change it because it has started to burn. 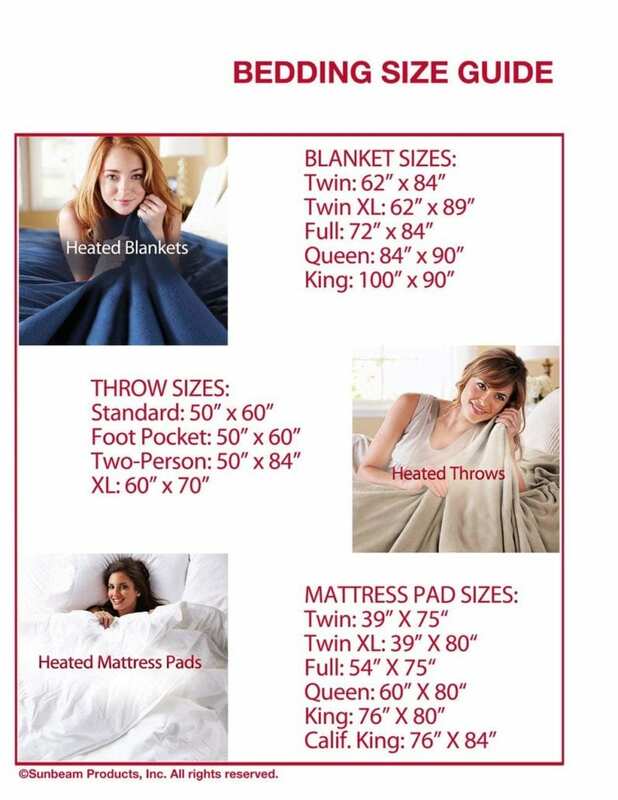 • There are various sizes, colors and pattern fabrics in electric blankets. Choose the one that matches the size and color of your mattress. Do Electric Blankets Raise Your Electricity Bill? To be honest, NO! In fact, they are the quite the opposite of this. By using the electric blanket, you can save a significant amount on your electricity bill. The reason for this is because you will not be using an electric heater that uses huge amount of electricity. 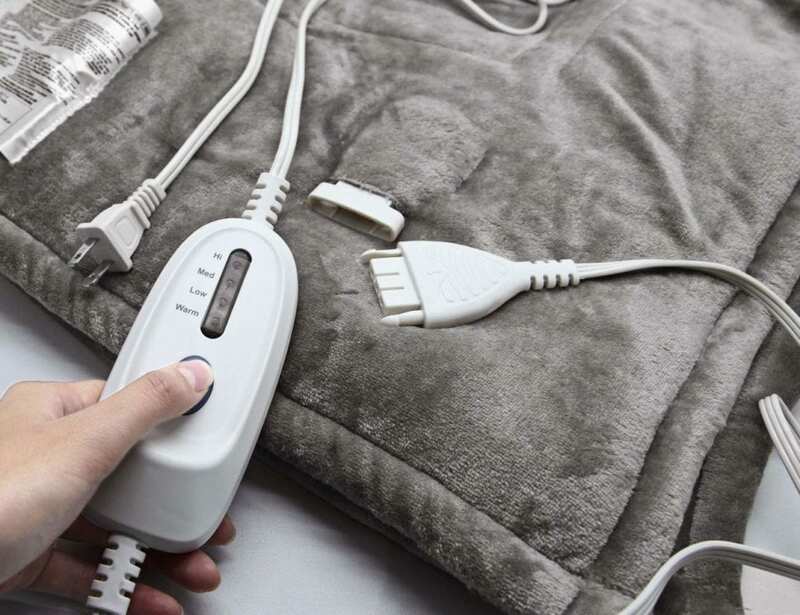 Moreover, most of the electric blankets are made up of plush microfleece or similar materials that provide warmth even if the electrical part of the blanket is turned off. 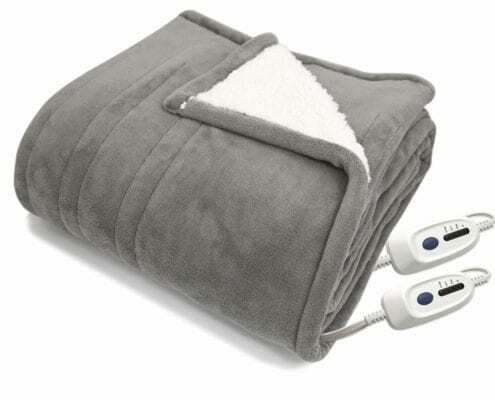 One of the best electric blankets is unequivocally Microplush Heated Blanket. It is loaded with different features and adjustment controls that make it ideal for any sleeper. 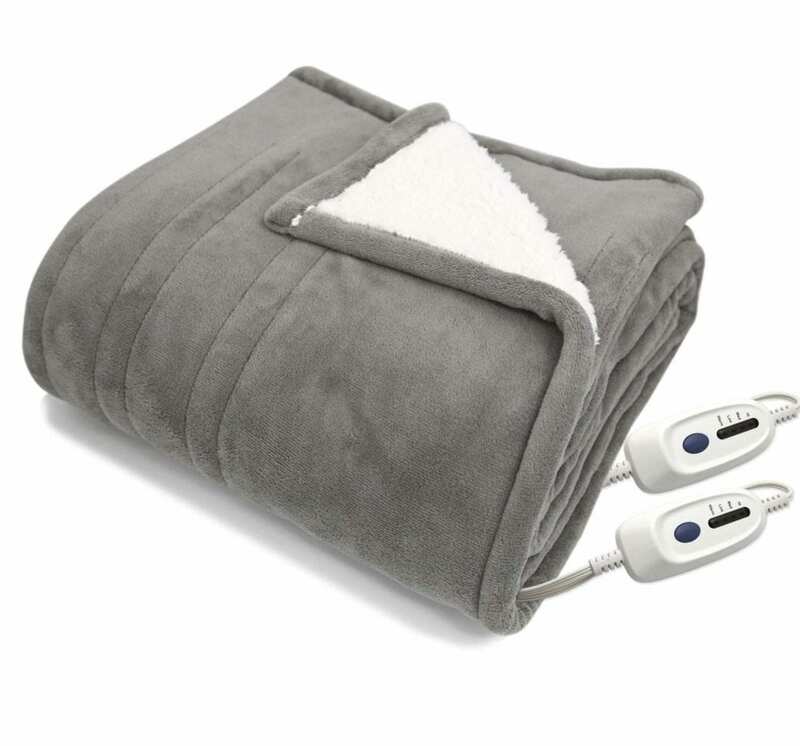 Cozy up to extra warmth with the Sunbeam channeled microplush heated Blanket so you can sleep warm AND comfortably during colder winter months. 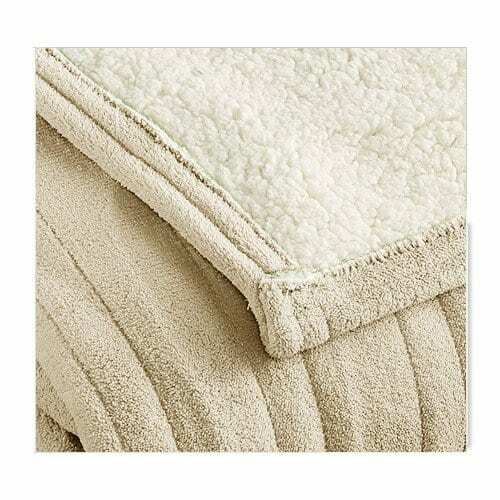 This ultra-soft, miroplush Blanket gently wraps you in warmth with Sunbeam’s patented Thermofine technology to Auto-Adjust for consistent heat control and distribution. 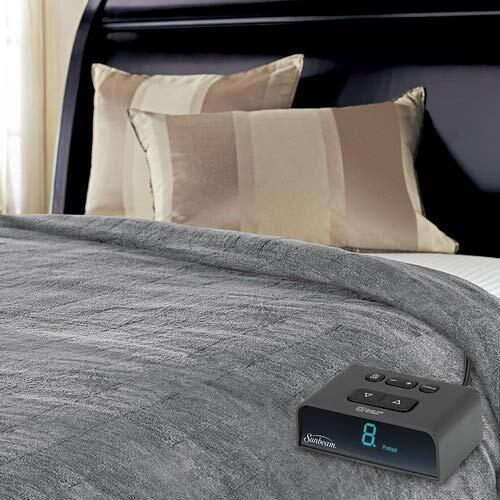 Plus, the digital controller offers a pre-heat setting to warm up cold sheets so you can slip into toasty comfort at bedtime. Designed to fit King-size beds 10 heat settings with 10-Hour auto-off feature LCD display with backlight 100percent polyester with180 GSM per side (360 total) channeled construction with hem finish machine washable and dryer safe. 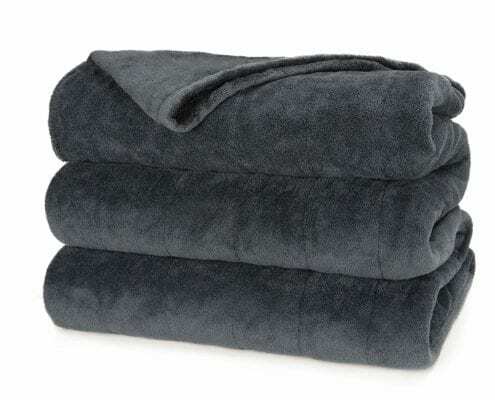 The primary reason for this one to be included in the list of best electric blankets is because it is a dual-sided blanket with one side made of microfiber and the other one has Sherpa fleece. This provides the owner with two different feels. 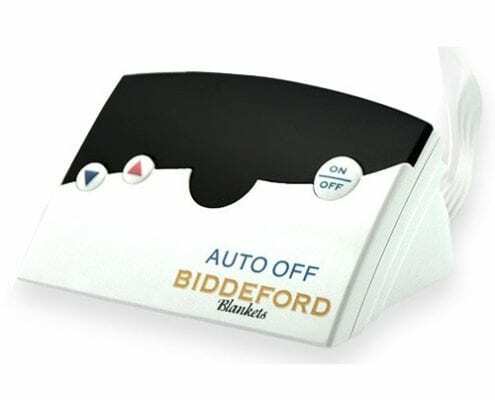 The Biddeford luxuriously soft microplush sherpa heated blanket is perfect to snuggle up in when the weather gets cold. 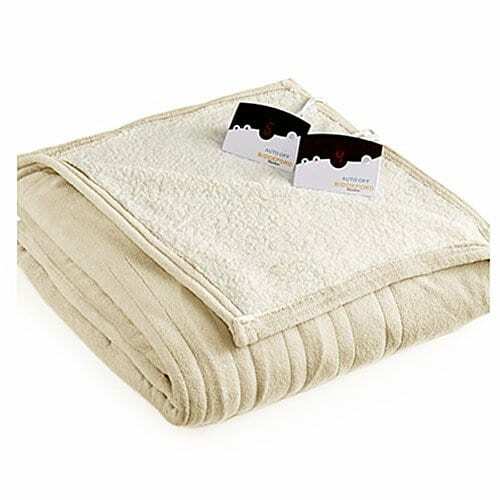 In king size, Cream Off-White this magnificently soft blanket is just great for getting warm. 100% Polyester, microplush top and sherpa bottom. 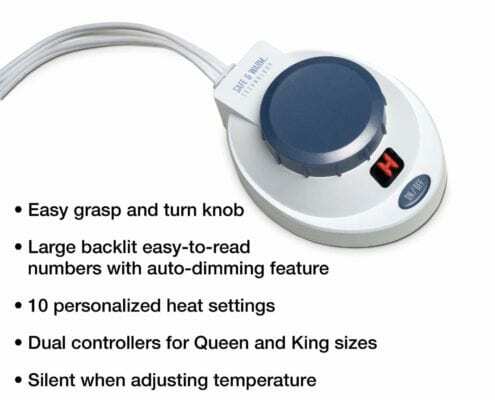 Digital controller features 10 personal heat settings, allowing you to get just the right temperature. It also features an automatic shut-off feature, which turns the blanket off after 10 hours. The twin and full size blankets include one controller. The queen and king size blankets include two controllers. Machine washable for your convenience. Five year manufacturer’s warranty. 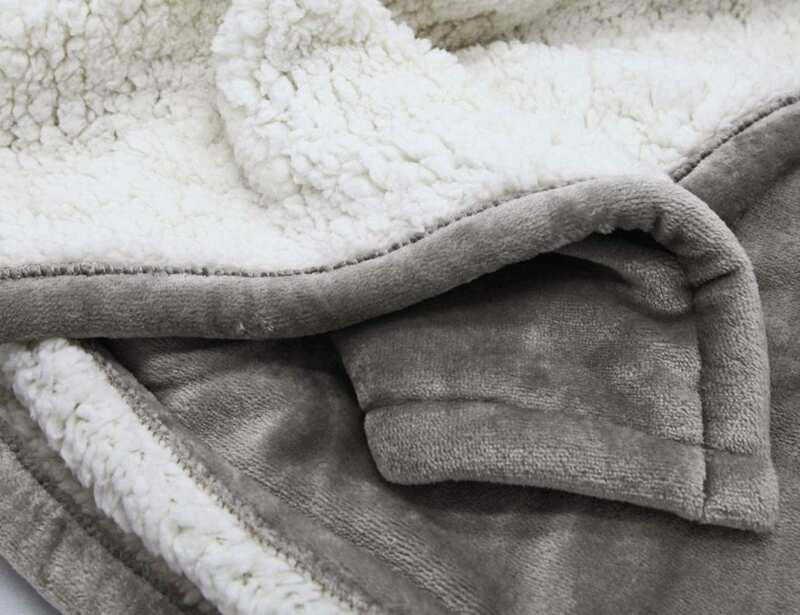 The blanket is made from very soft microfleece that is equipped with a Low Voltage heating system that will save you some electricity by operating on fewer than 25 volts making it safe as well. 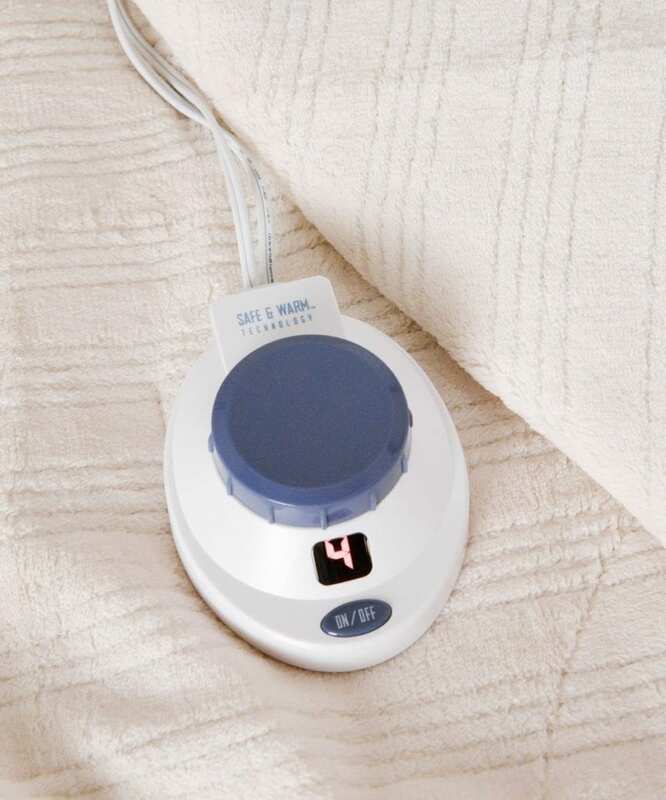 ONE BLANKET TWO TEMPERATURE : Everyone’s body feels different, and if your wife or husband feel hot or cold, our electric blanket is the perfect solution！The temperature of the left and right sides is adjusted separately! Allowing you to sleep at your preferred temperature setting without sacrificing your partners preferences. 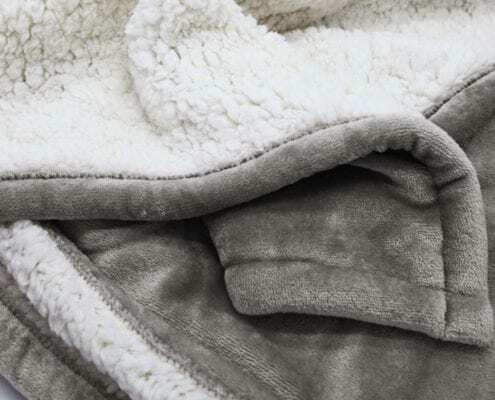 SHERPA MATERIAL: The 230gsm berber fleece and flannel fabrics material is so soft and comfortable that you can feel warm by only touching it. DOUBLE SAFETY PROTECTION: Worried about high temperature risk and electric shock? 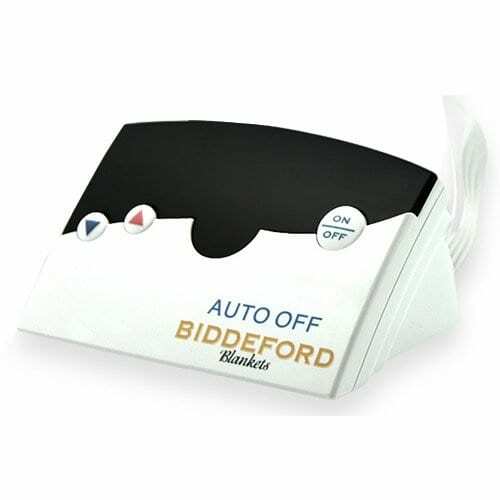 Our blanket is 10 hours automatic power off to prevent fire and save energy.The heating wire is wrapped with high quality thermotolerant material (made by Thermocable Flexible Elexible Ltd, UK). In addition, the switch uses double insurance, fuse and temperature control. All we do is for your safe use! One of the most common questions I am asked is if an emectric blanket is ok to use on “XYZ” mattress. 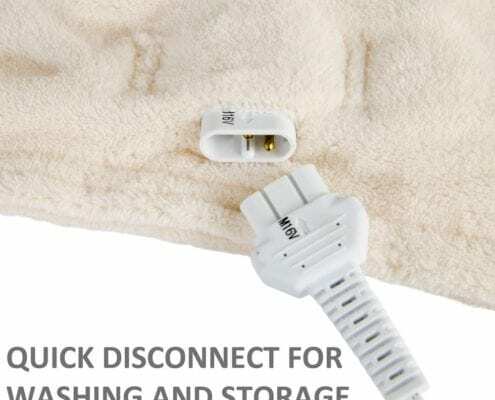 The answer is YES, a heated blanket should not hurt any mattress you can buy these days. Let me know if you have any questions on anything.